* Cotton Lycra Legging Pants With Elastic Waist. * Material - Cotton Lycra. * Suitable For Small To Medium Sizes. * Fabric Of The Leggings Is Stretchable Commonly Soft And Comfortable To Wear. * You Can Wear This With Dresses; Kurti`S Or Short Tunics. * P.S. - Any Accessories Worn By Model Is Not Included. 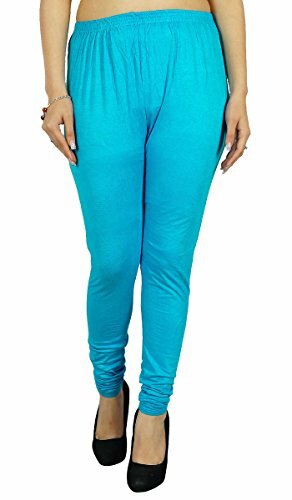 Size (In Inches) - Waist Relaxed - 22" and Waist Stretched - 28", Length - 39"
For more Fashionable Clothing click on "sheshe" above the title. If you have any questions about this product by sheshe, contact us by completing and submitting the form below. If you are looking for a specif part number, please include it with your message.